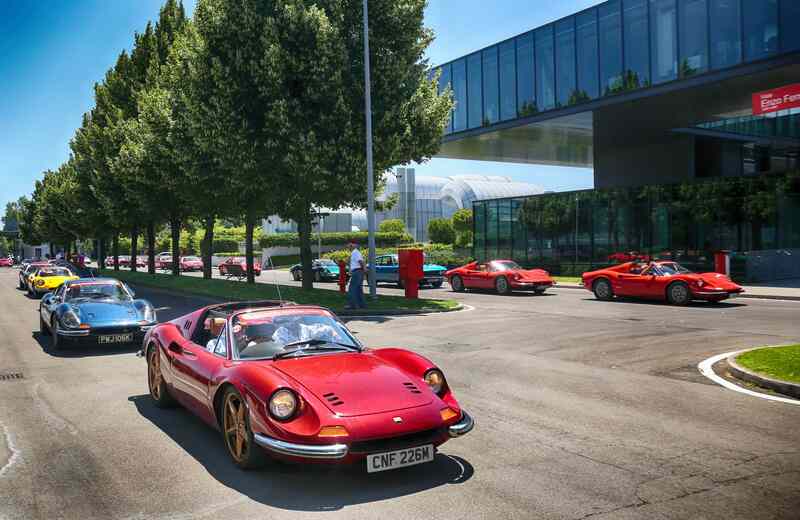 A bevy of lucky owners from across the globe brought in over 150 classics — their own beloved Ferrari Dino — to Maranello, Italy last weekend in celebration of the car’s 50th anniversary with a bumper-to-bumper joyride. 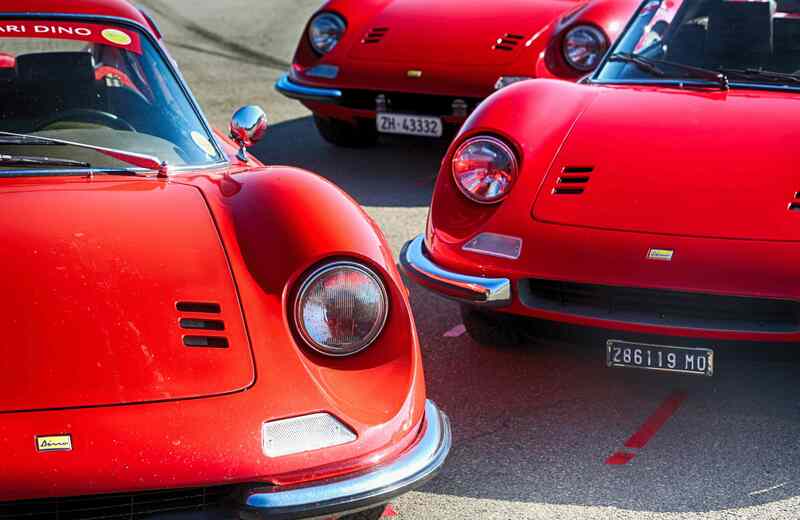 Named after Enzo Ferrari’s late son, who helped designed the car’s six-cylinder engine, the Ferrari Dino made its debut as a prototype at the Paris Motor Show in 1965. And technically, this sporty mid-engine car was ‘officially’ launched 51 years ago, at the 1967 Frankfurt Motor Show, but Ferrari was too busy with other festivities last year — celebrating its 70th anniversary as an automaker. 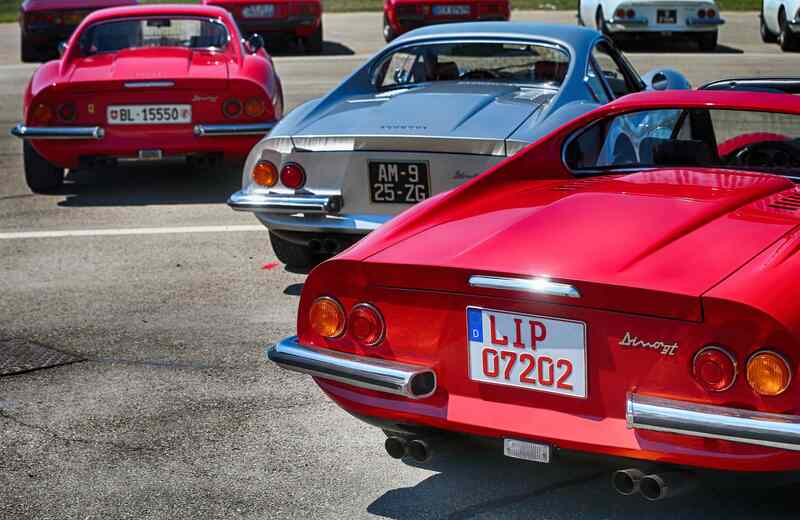 Hence, the Ferrari Dino celebration was put on hold. Until now. A good half-a-century has passed since the first Dino rolled off the assembly line and unto our roads. 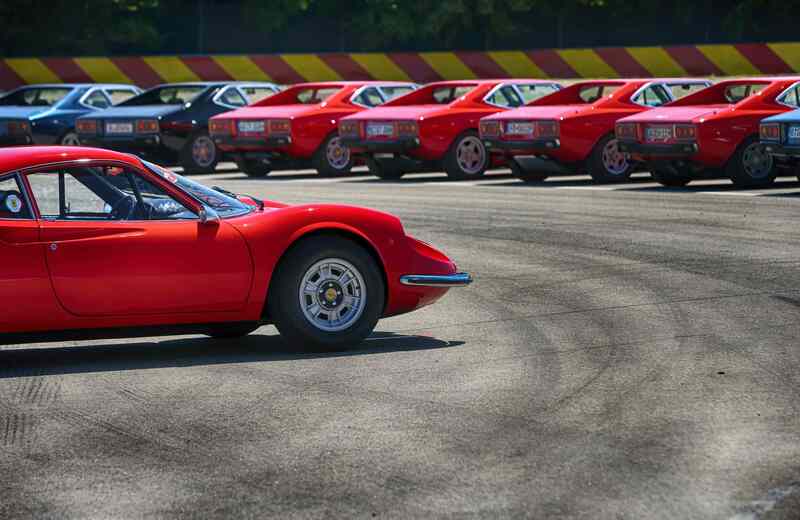 The decision was then made by Ferrari to celebrate this 50th-year of road debut of the first model in March 1968. 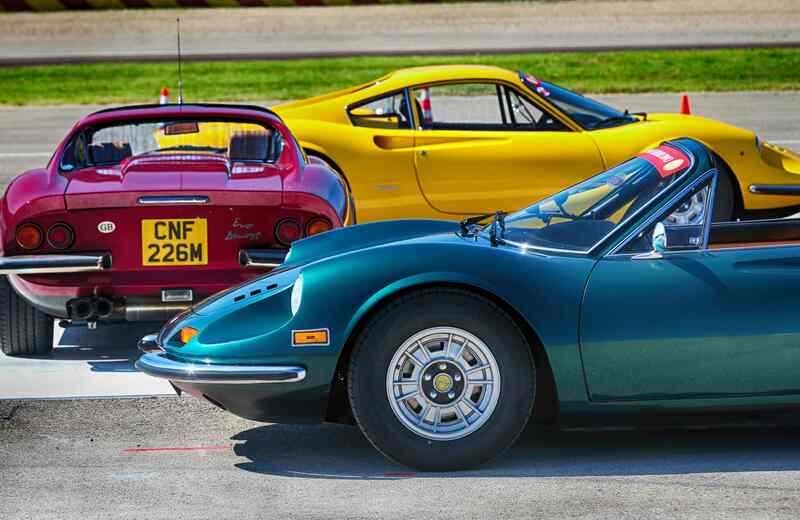 The one-day anniversary party saw all Dino models accounted for, including the 206 GT, 246 GT and GTs along with the V8-powered 308 GT4. 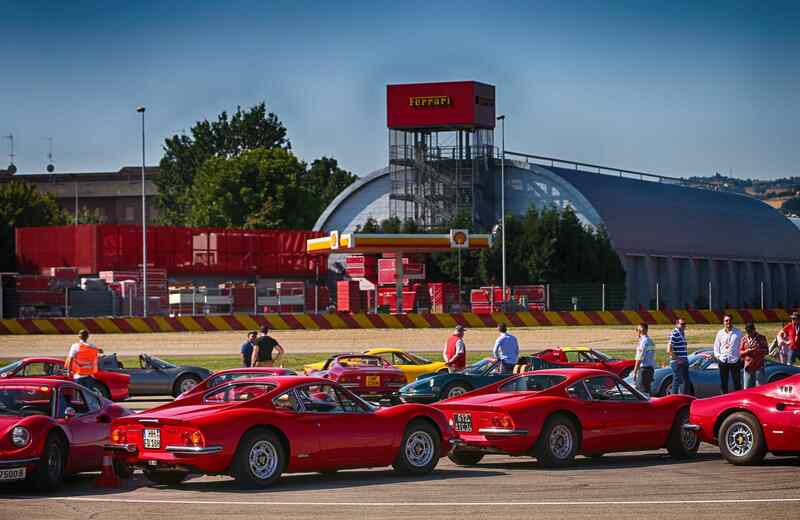 They arrived first at the Maranello Museum before moving to the famed Fiorano test track. 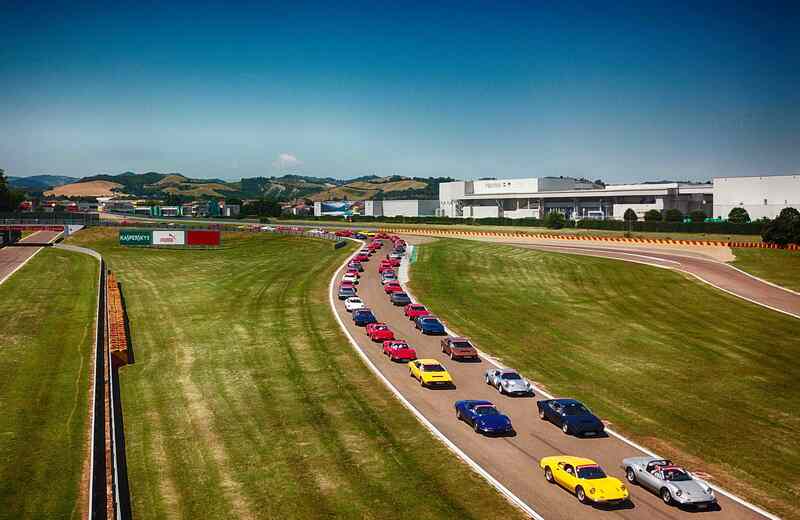 After a parade lap and plentiful photo-ops, the cars were driven to the Ferrari factory where some 300 owners took part in a special tour. The day ended with the cars being driven one at a time under the arch of the historical Ferrari entrance on Via Abetone Inferiore. 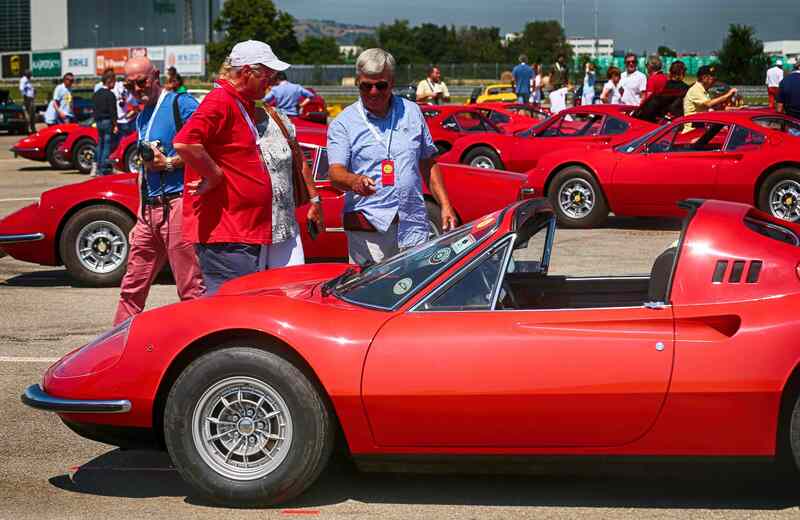 For a long time, Dino owners weren’t treated with much ostentation within the Ferrari collectors circle. 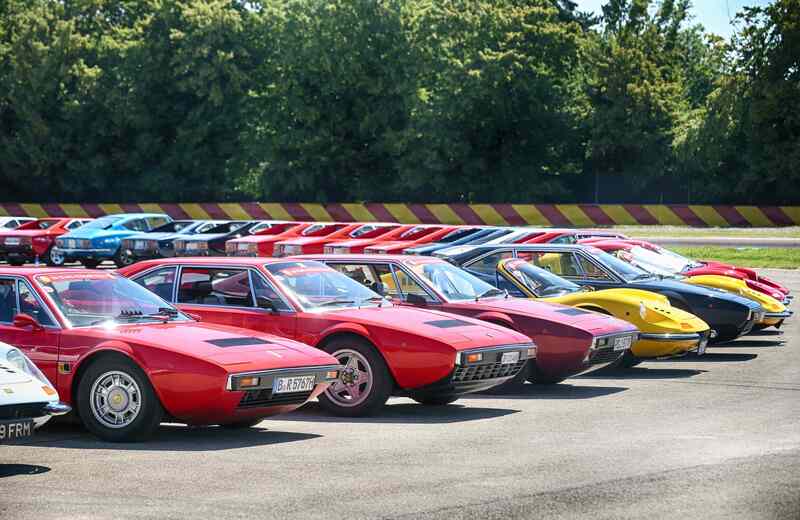 Dinos weren’t considered to be ‘real’ Ferraris by many — only the 308 GT4 wore the Prancing Horse badge. 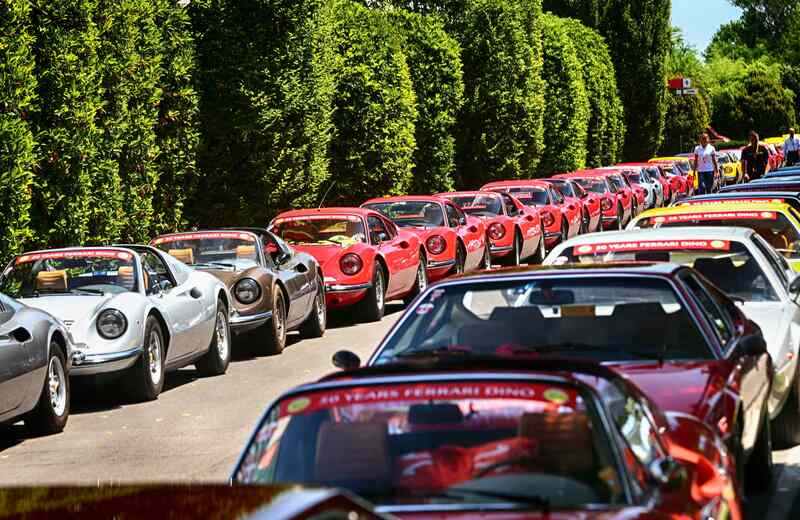 But now, there’s a strong following for these classic cars and the event in Maranello proved it will continue to grow. 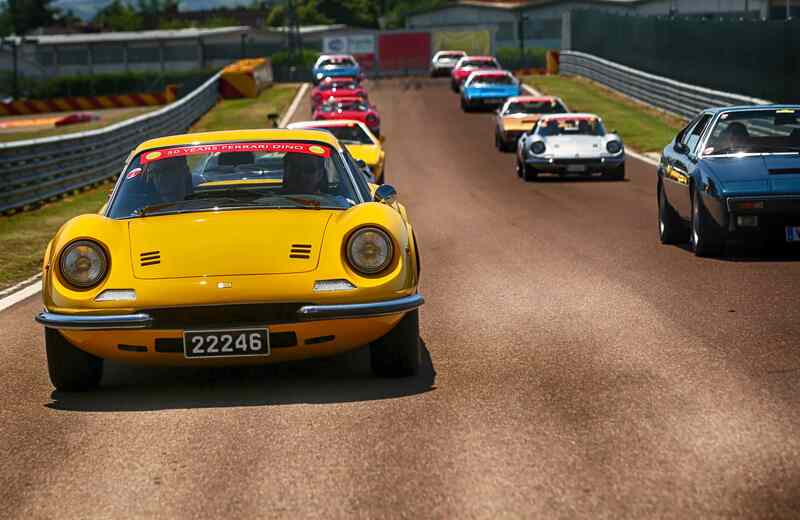 Even in Singapore, over the same weekend, local audience were pleased to see a 1972 Ferrari Dino 246 GT unveiled as part of the inaugural Fullerton Conours d’Elegance event, which took part from June 29 to July 1, 2018. 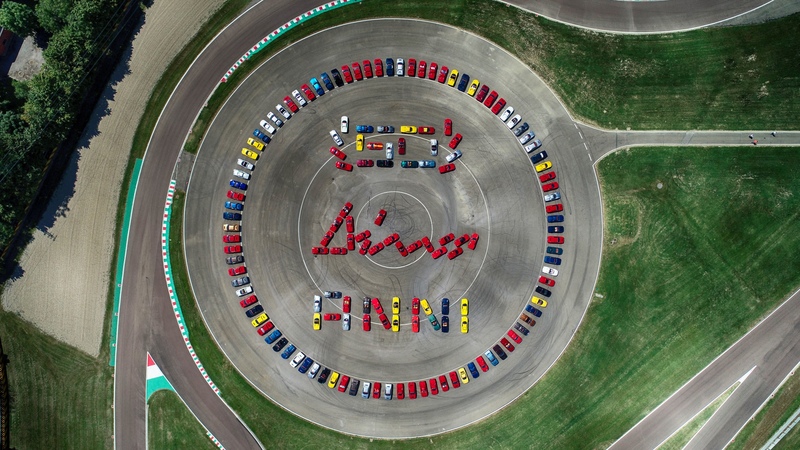 Click on the images below to view the highlights from the 50th celebration of the Ferrari Dino in Maranello.